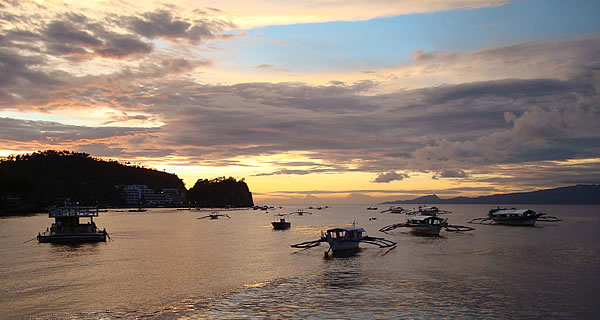 About a two-hour drive and an hour’s boat ride south of the balmy, bustling streets of Manila loom the cloud-covered hills of Mindoro Island, its shoreline and some of the best diving in the Philippines. 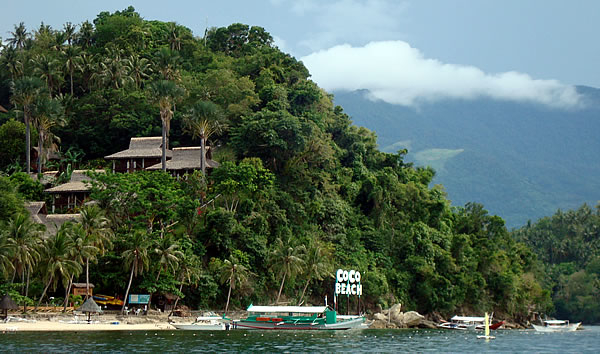 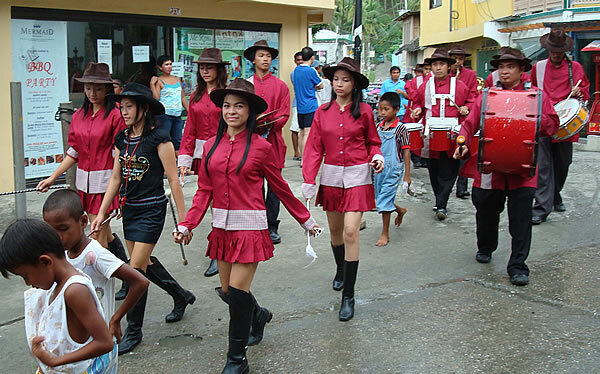 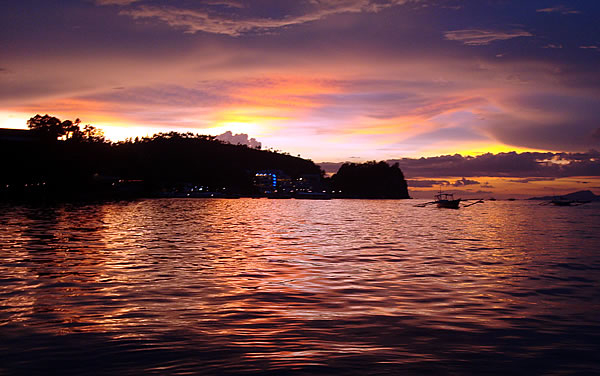 Puerto Galera and its surrounds have become popular in recent years because of their proximity to the capital and the variety and number of dive sites available. My week-long adventure took me to a rustic little tourist beach called Sabang, which is perched on the northeastern tip of Oriental Mindoro province. 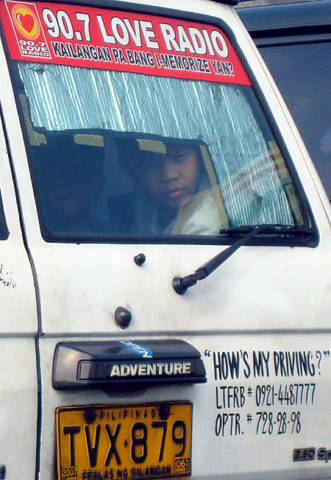 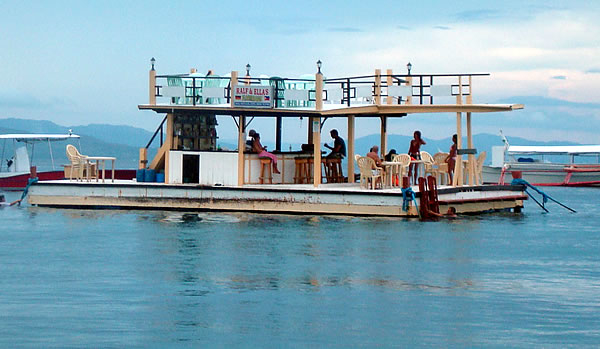 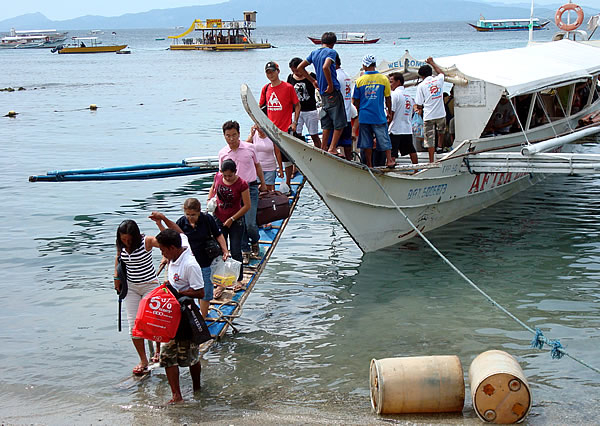 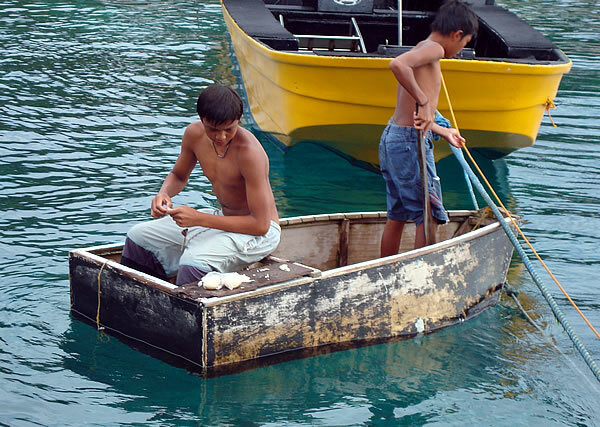 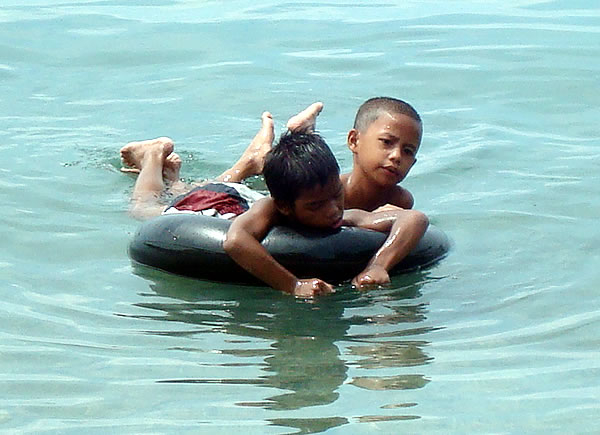 Access is via a 200 peso ($5) boat (banca) ride from the port town of Batangas on neighbouring Luzon. 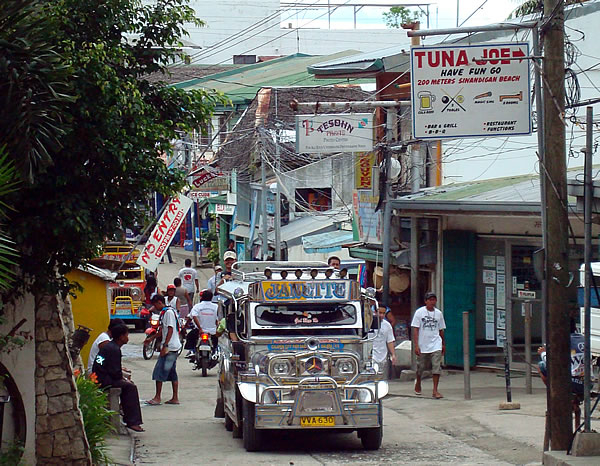 Sabang is a quaint little place dotted with dive shops, small restaurants, and bars all connected by a series of narrow streets and walkways. It has yet to suffer the invasion of motorbikes, taxis and buses found in many dive and holiday resorts across the sea in Thailand and Vietnam, although there is the odd jeepney to take you into Puerto Galera town 10 minutes away. 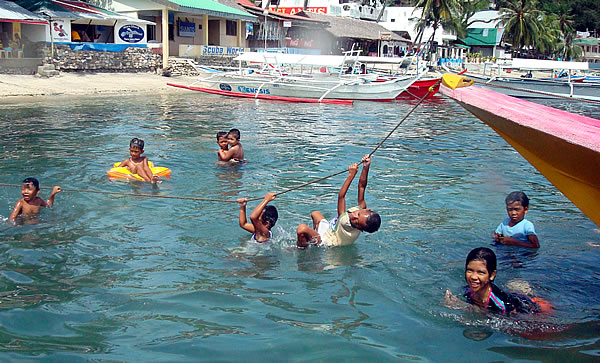 The shoreline of the small bay is a kaleidoscope of colours and activity, with small dive tenders coming to and from the reef, local bancas bobbing in the waves, kids playing in the shallow, crystal-clear waters, and tourists ambling along the beachfront. 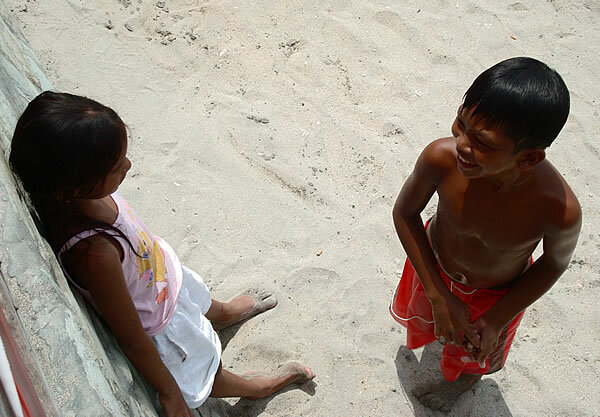 The beach itself is not that impressive but I was not there to sample the sand and sun – it is what lay beneath the waves that had my attention. 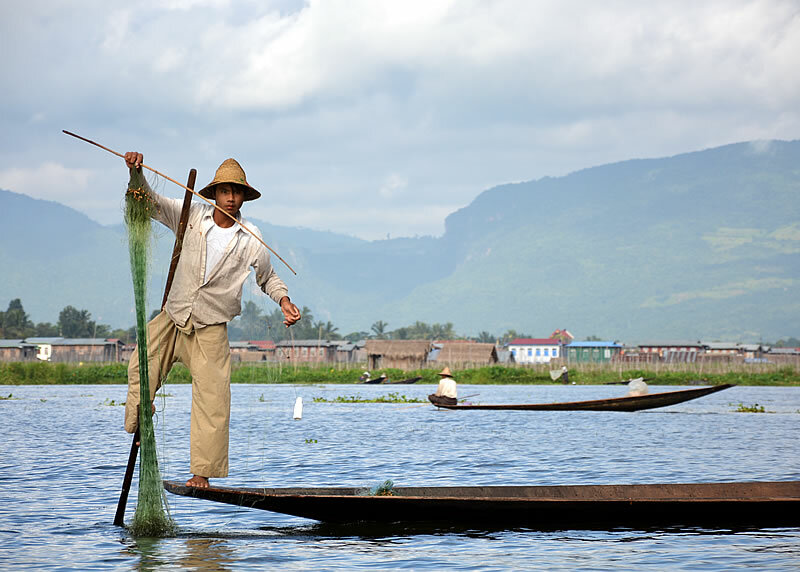 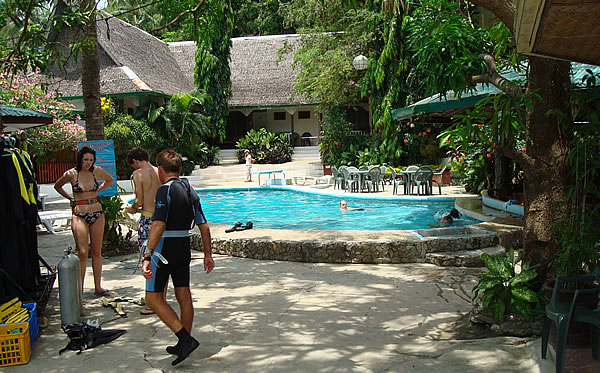 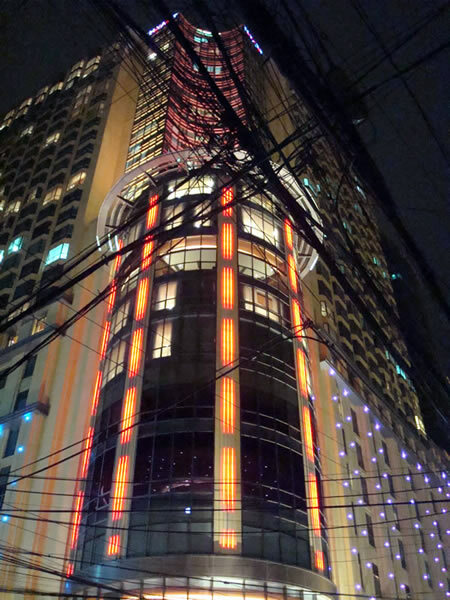 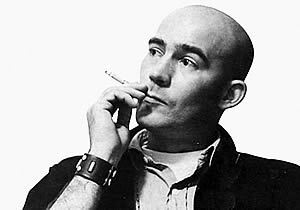 The accommodation was good, and my chosen resort offered a pool, restaurant, bar and dive shop – I could want for no more. 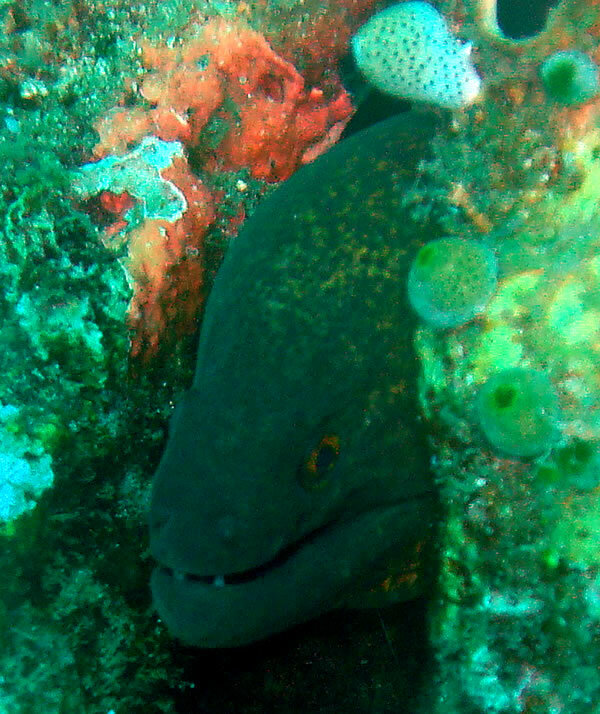 The following morning on tracking down the dive staff, I was simply asked: “When do you want to go?” All of the diving is done directly from the beachfront resort, as the dive sites are all close, the furthest being about 20 minutes away. 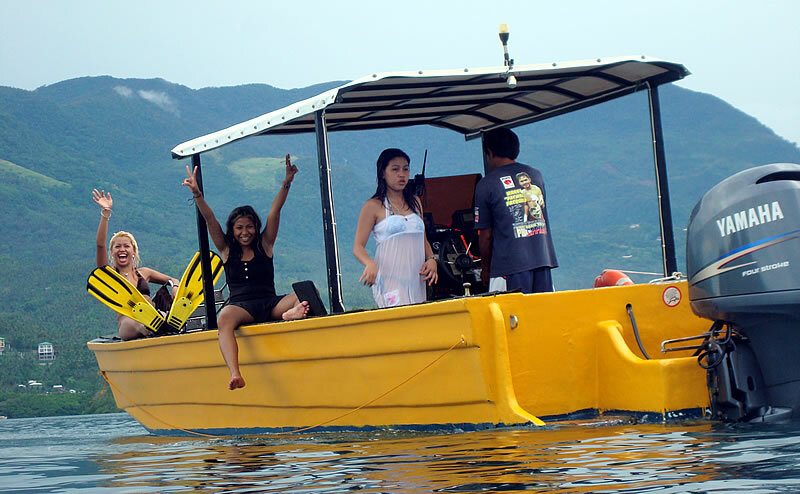 This was a novelty for me who, having done most of my diving in the past few years in Thailand, was used to a two-to-three-hour boat journey to get to the dive sites. We geared up at the resort, jumped in the tender, and were off across the bay as the brilliant sunshine glinted off the cerulean waters of the South China Sea. Ten minutes later we arrived at the dive site, a spot called “Hole in the Wall”, and rolled backwards into the blue. 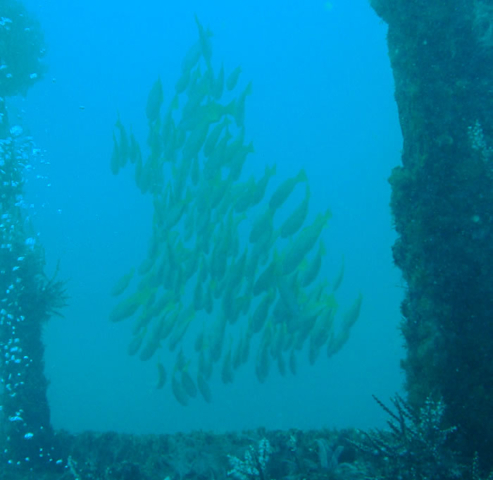 The visibility was impressive at more than 20 metres, as was the marine life, with large schools of anthias, damselfish and fusiliers to greet us. 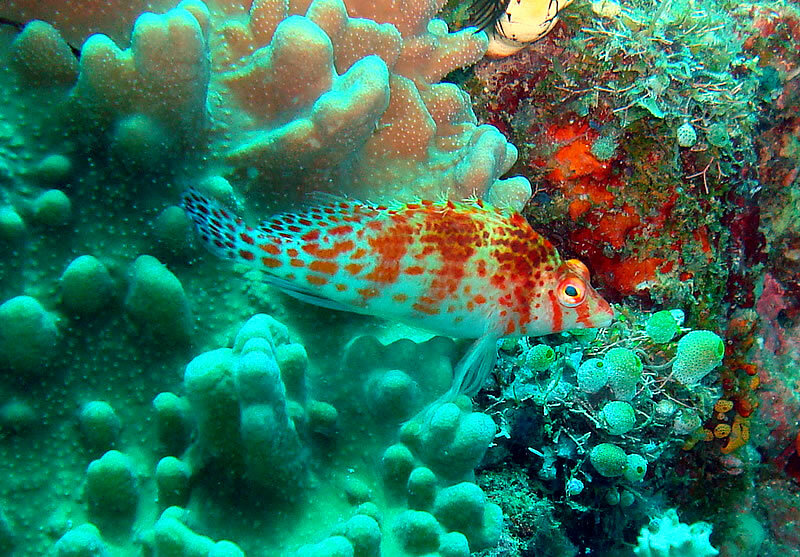 The sloping reef dropped down below 30 metres, though we stayed relatively shallow, taking in the vibrant colours and fish life, which included butterflyfish, wrasse, triggerfish, hawkfish and boxfish. There was a small swim-through from which the dive site derived its name and some nice coral gardens in which to make the safety stop. 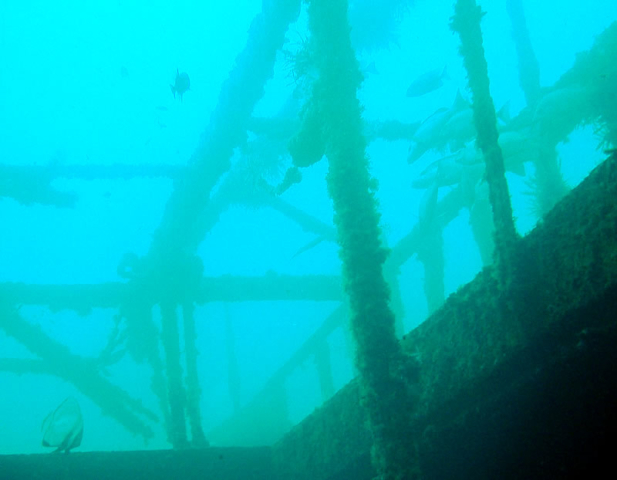 The next morning’s dive took us to the wreck of the Alma Jane, a cargo vessel purposely scuttled in Sabang Bay to create an artificial reef and dive site. 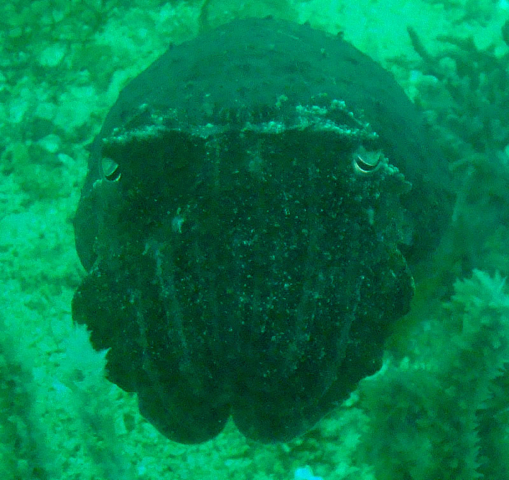 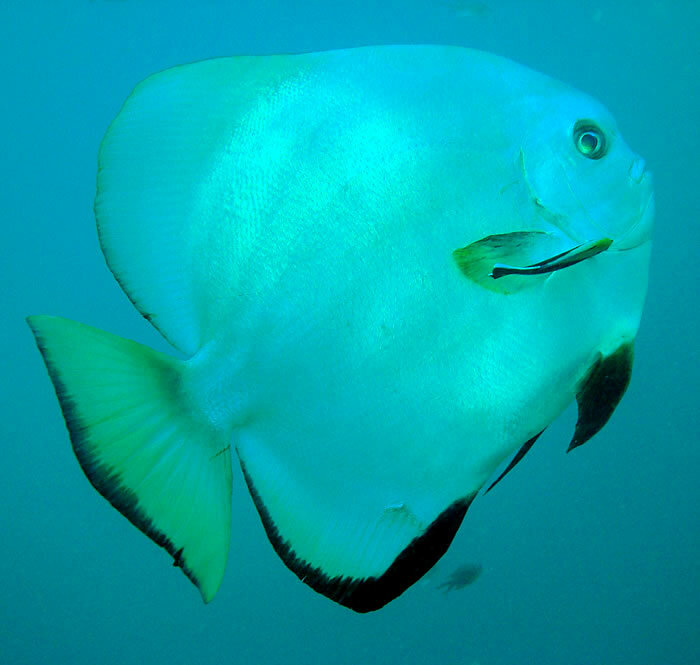 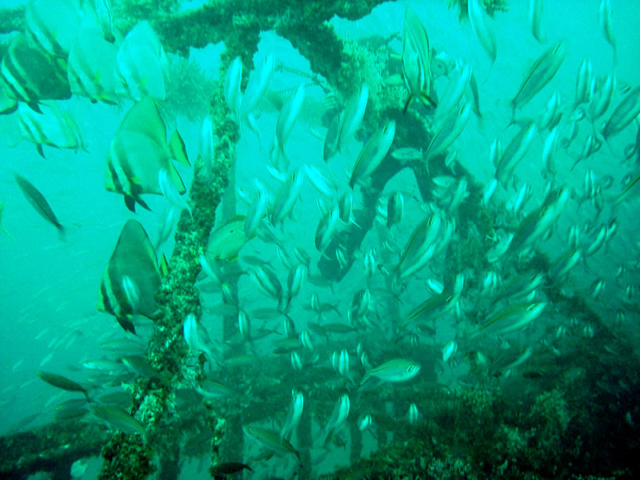 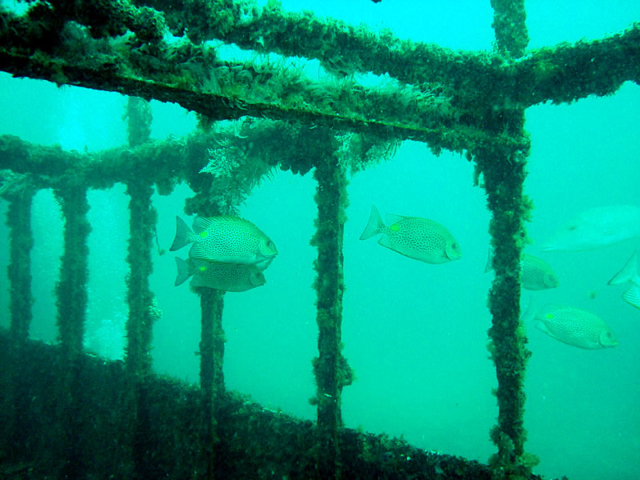 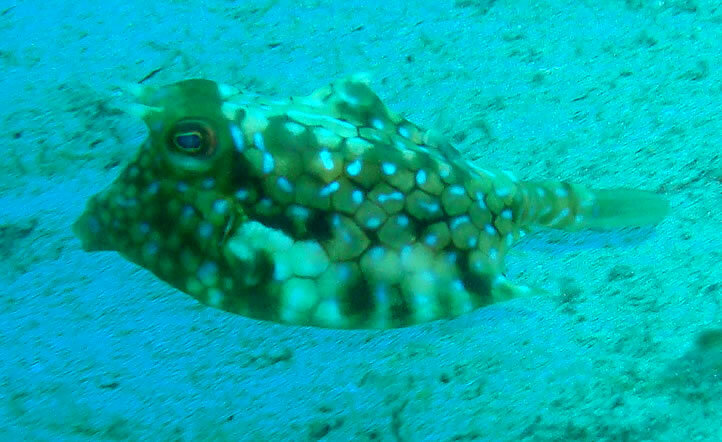 The visibility at 30 metres was still good as inquisitive schools of batfish circled the wreck and the divers. 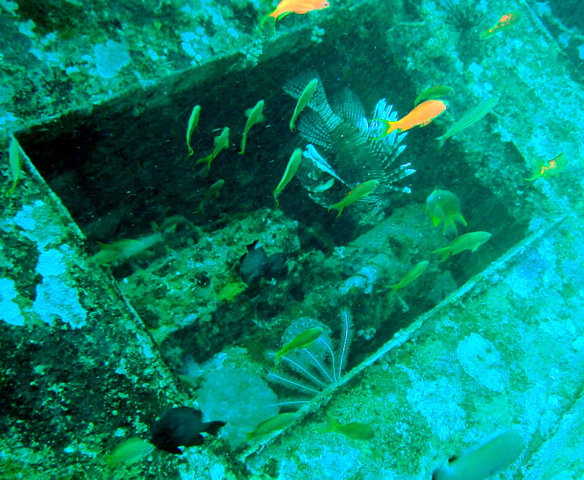 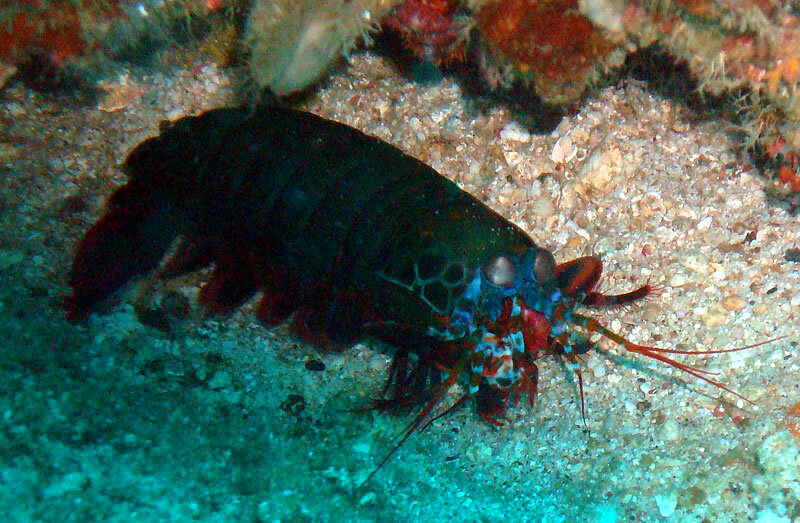 There was plenty to see here, with lionfish making their home in the dark corners of the hull, stingrays stealthily hiding in the sand, tiny blennies darting in and out of crevices and large schools of fusiliers and drummers gliding around the supports of the vessel. 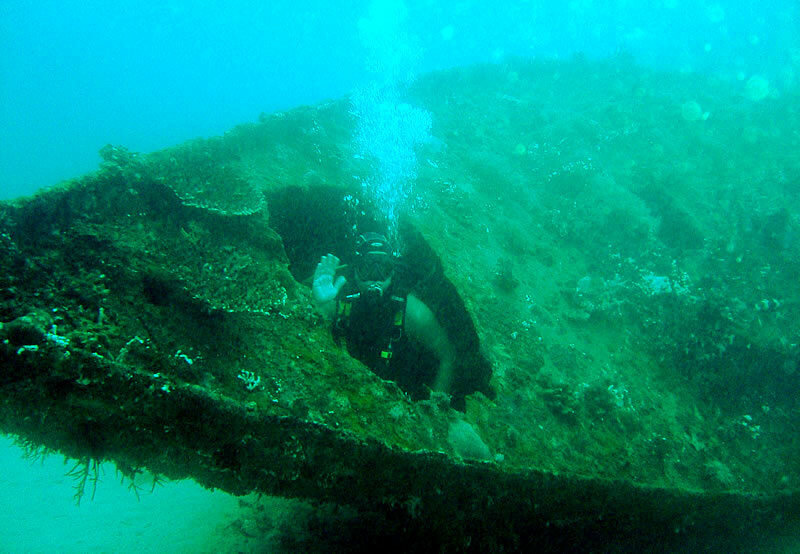 There are three more wrecks in Sabang Bay itself, all conveniently close to one another and only two minutes from the beach. 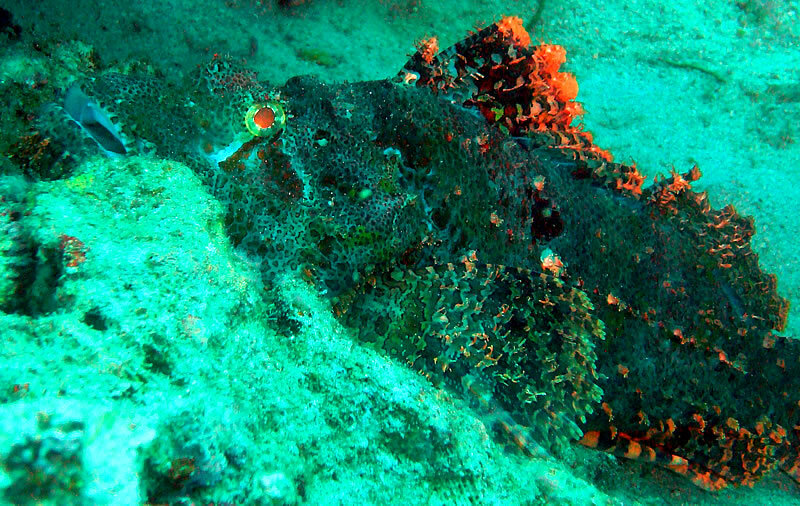 The aptly named “Sabang Wrecks” dive site makes a great afternoon dive when the light is good; all three wrecks are in about 18 metres of water and are all a haven for marine life, with camouflaged scorpionfish, reclusive morays, mantis shrimp and schools of striped catfish all resident. The wrecks themselves have disintegrated over the years, though one is still penetrable. 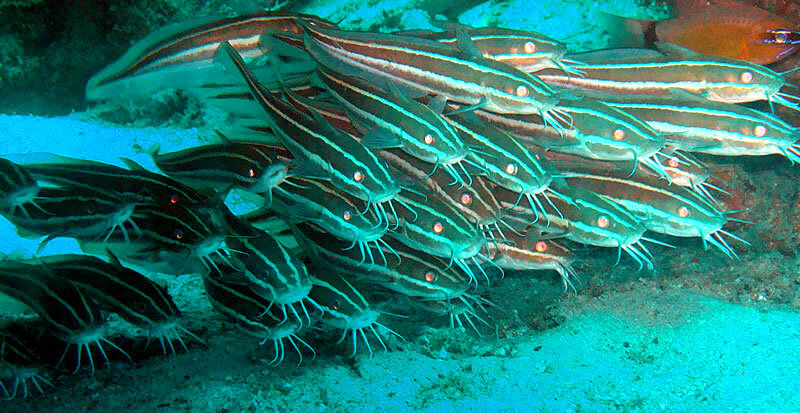 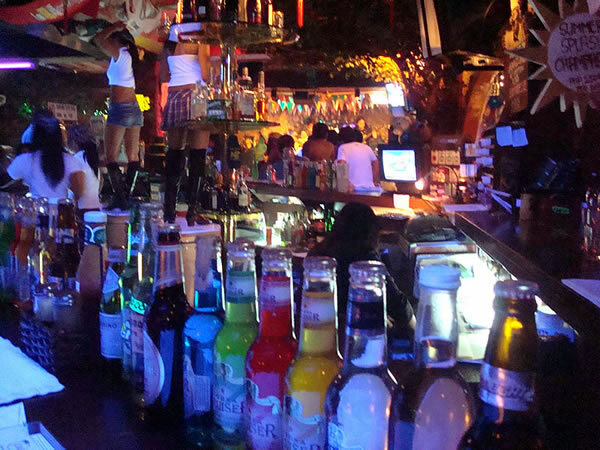 There will always be something different lurking on the wrecks, and they also make a great night dive – providing you don’t surface at one of Sabang’s two floating bars and get distracted first! 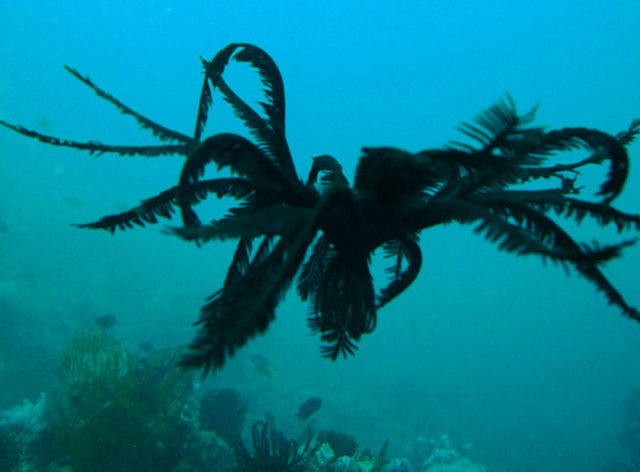 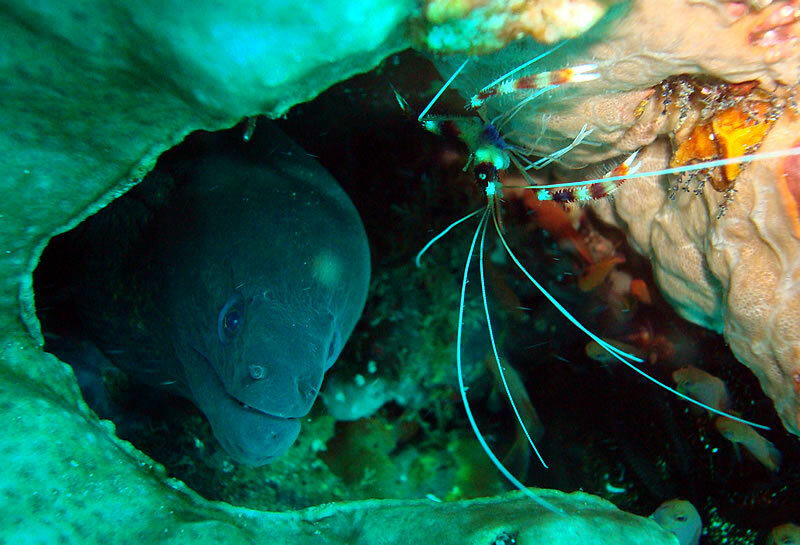 The “Kilima Drift” was an exhilarating dive invoking the feeling of flying as the current swept me across the reef bed at speed past seafans, whips and all manner of feather stars and other crinoids. 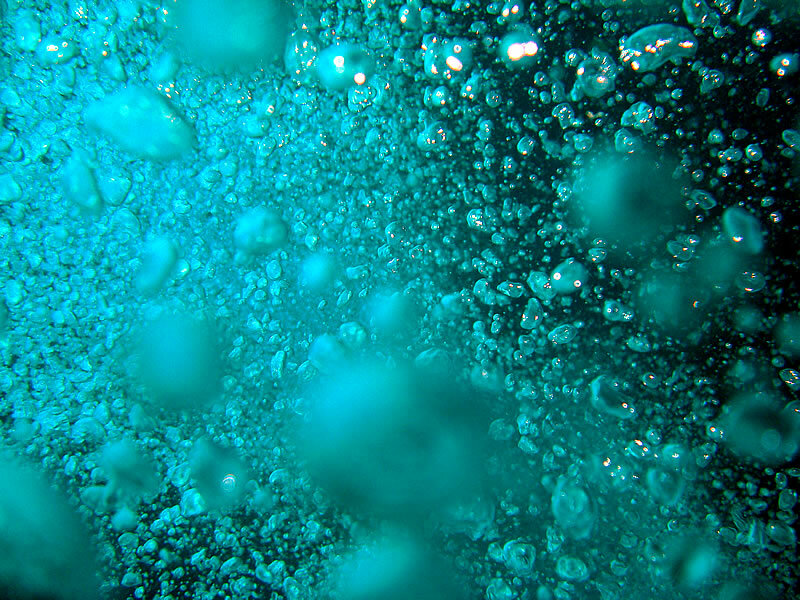 There was no time to stop for photos on this dive – I just lay back and enjoyed the ride. 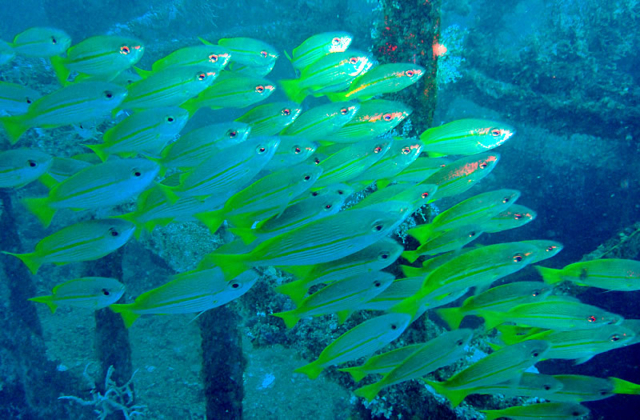 Towards the end of the dive the current has a tendency to pull you down to 20 metres and beyond, so care must be taken not to get literally carried away! 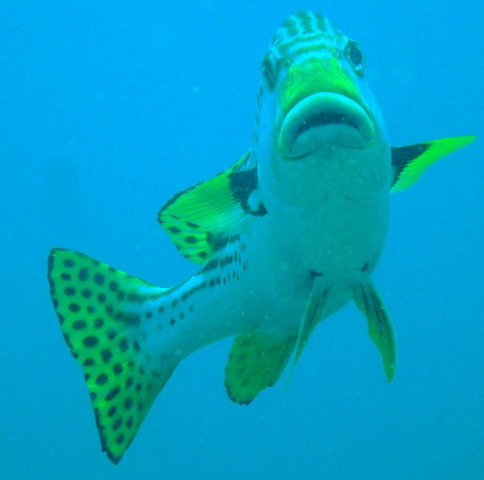 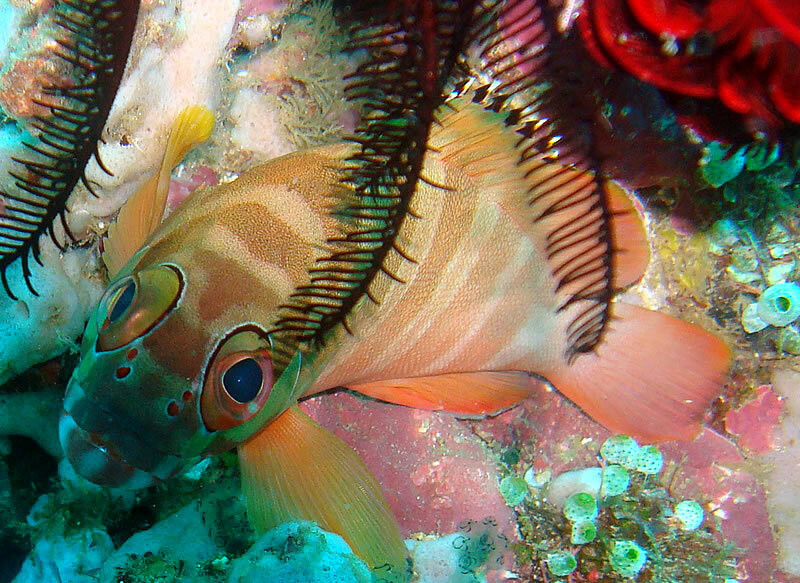 “The Canyons” is an impressive deep dive where three gullies at about 30 metres offer feeding opportunities for all manner of fish, including sweetlips, jacks, trevally and groupers. 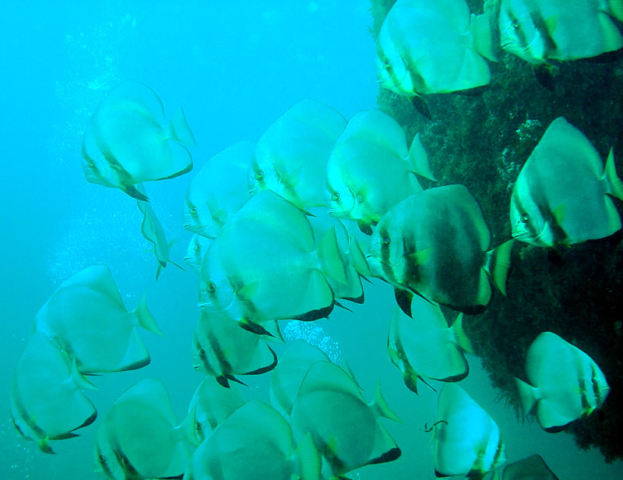 The often strong current here draws in the bigger fish, and morning is a great time as feeding on the reef is heightened. 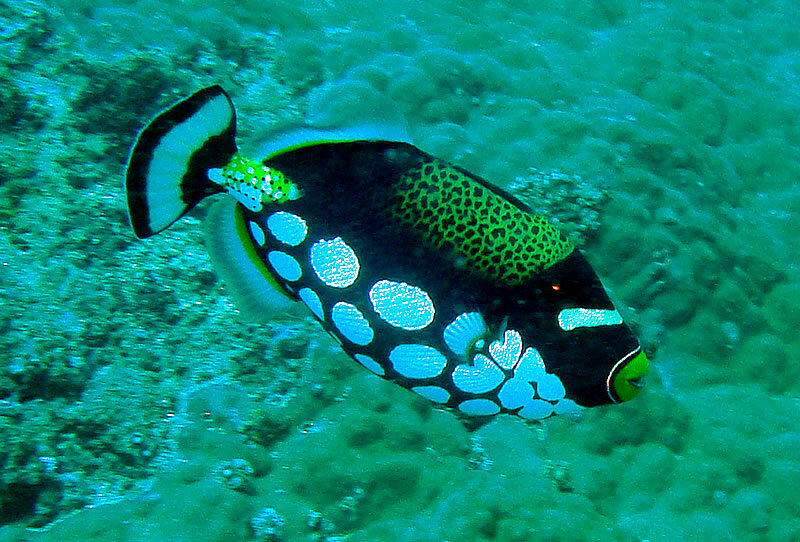 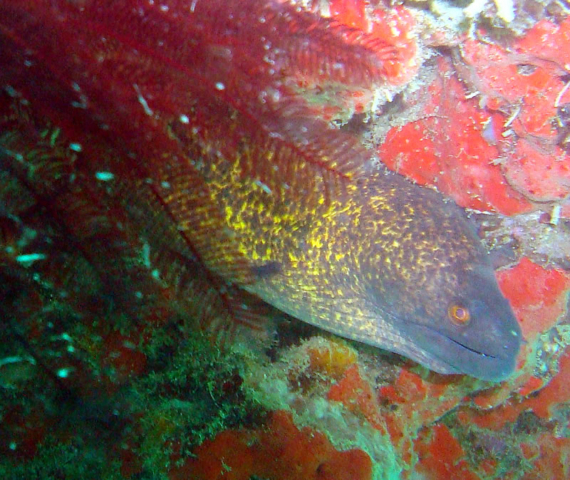 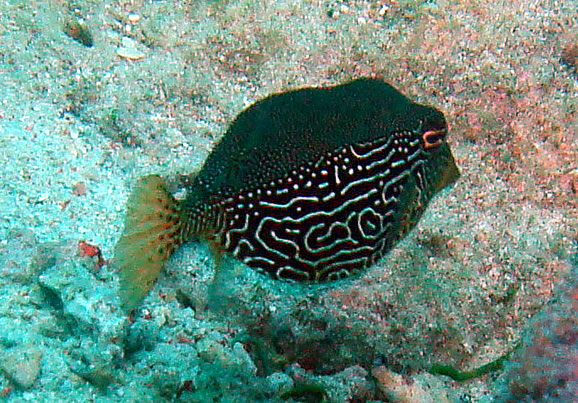 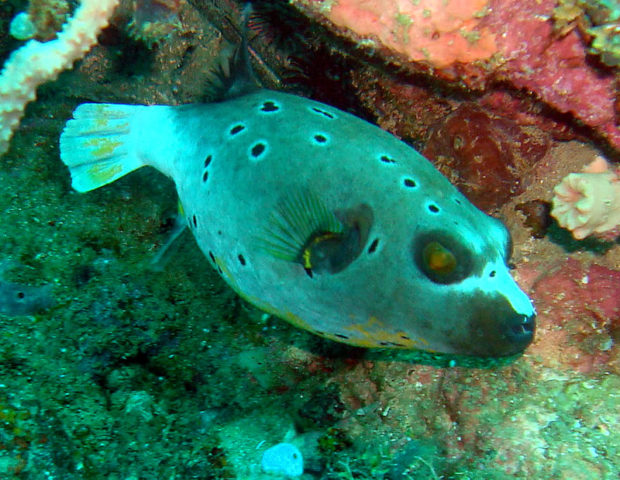 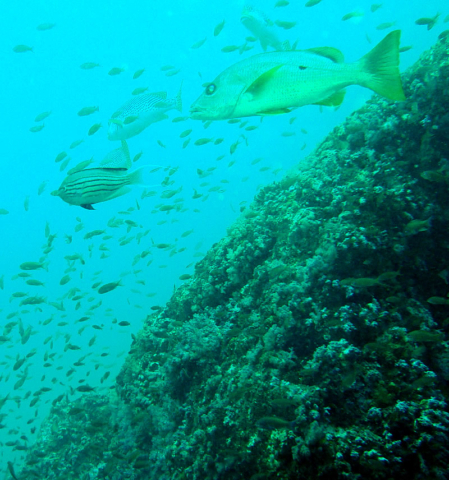 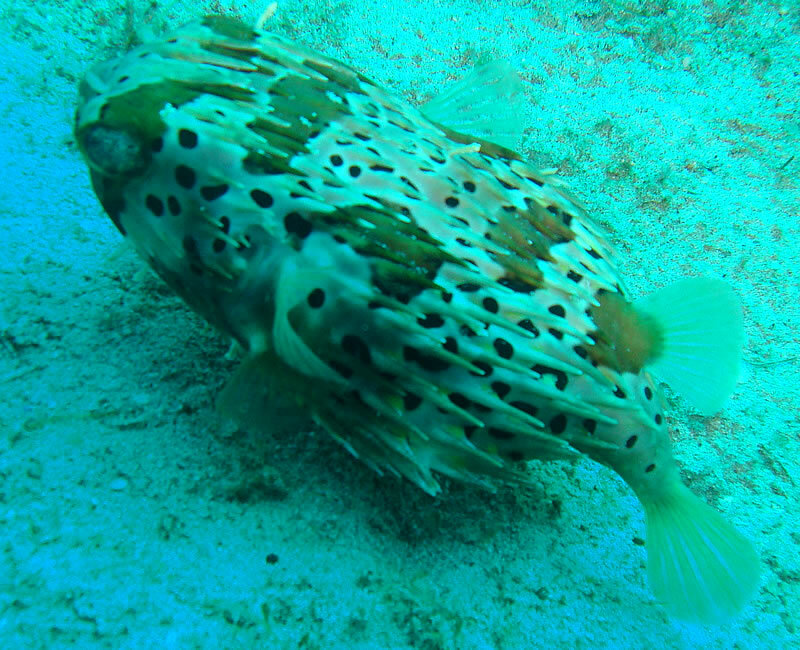 Large schools of hunters circled above us and some huge oriental sweetlips lurked below on this dive site. 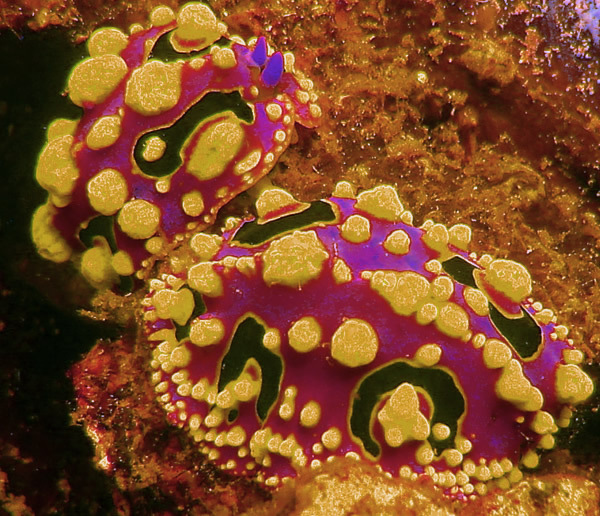 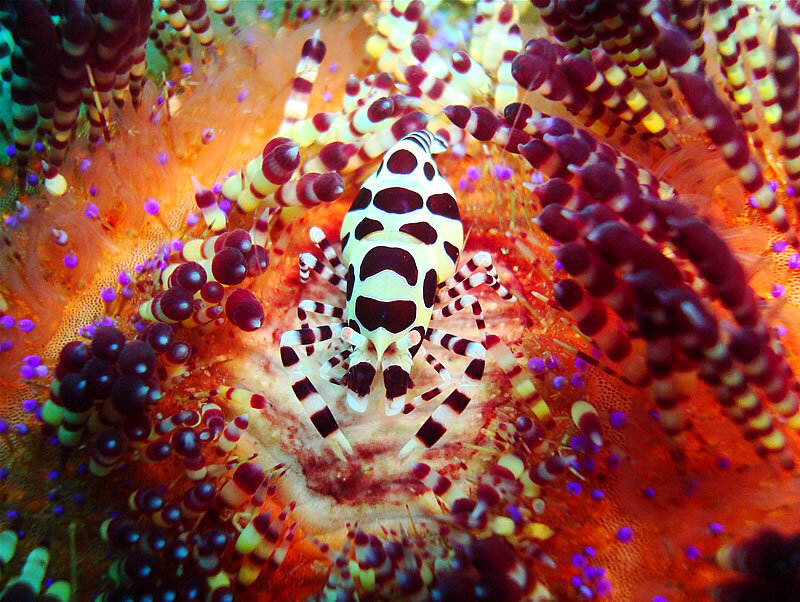 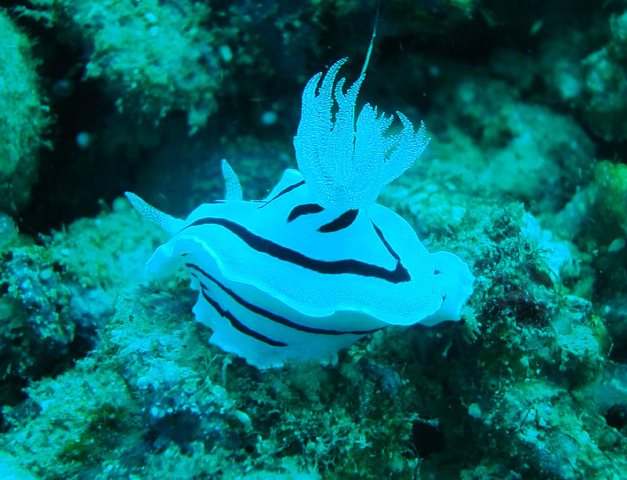 Macro fans will not be disappointed either, as the sheer number and variety of nudibranchs found while diving around Sabang is astounding. Never have I seen such a large concentration of them. 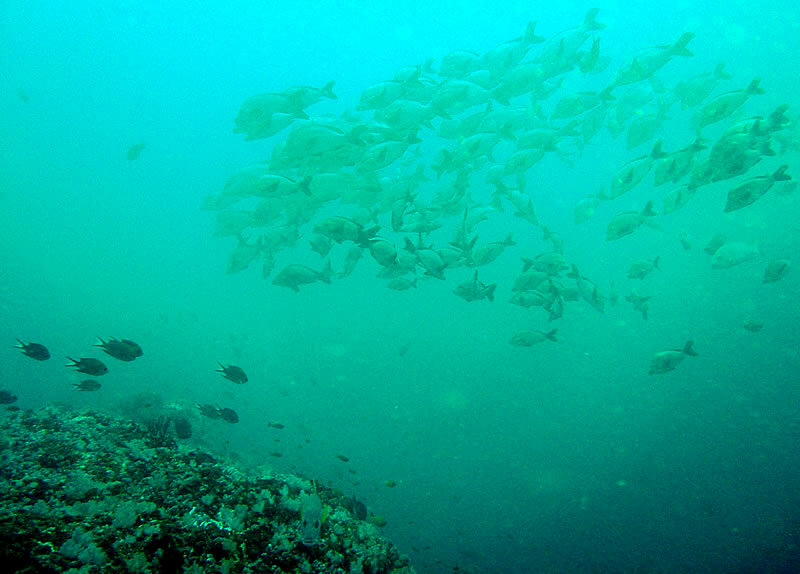 There were so many that it was often difficult to identify them all on the surface, certainly a number of species that I had never seen before. 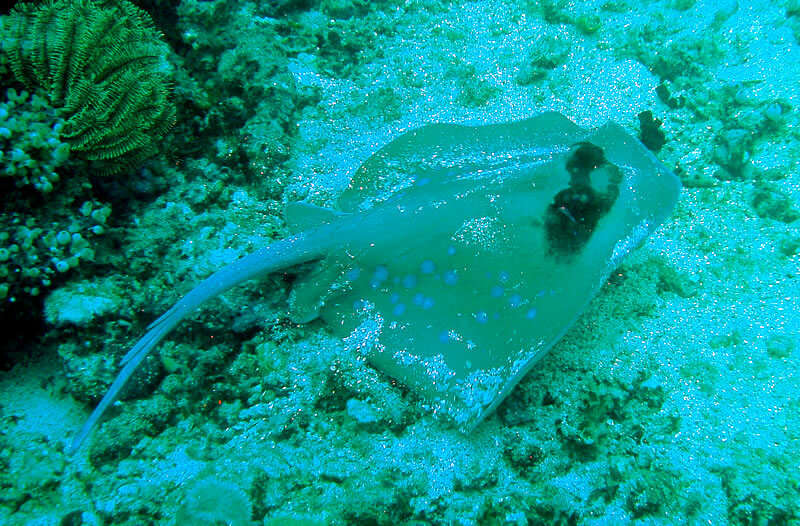 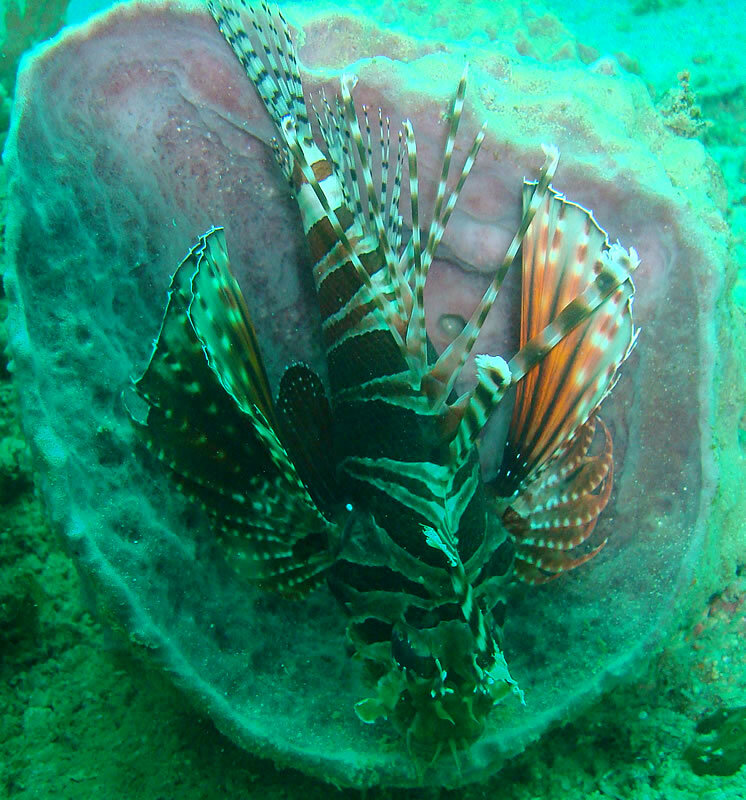 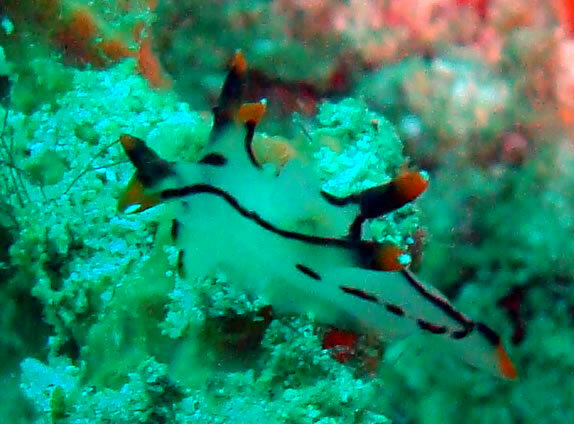 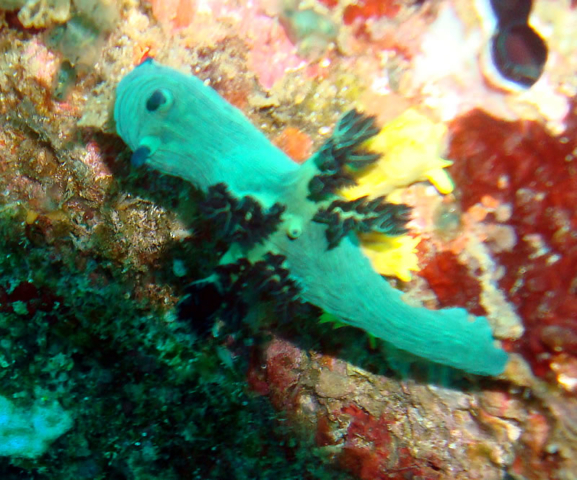 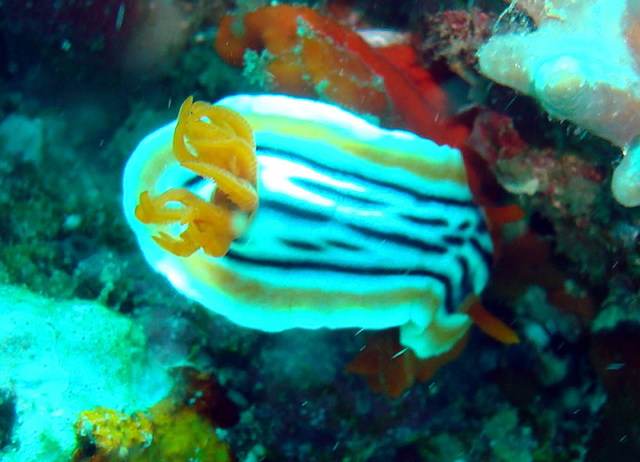 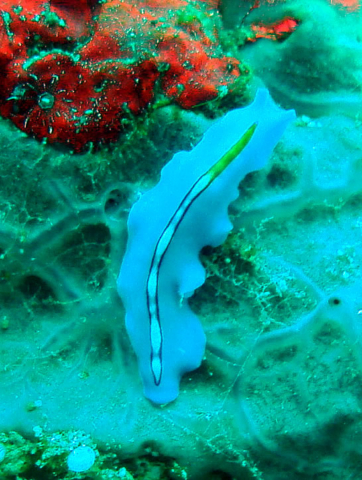 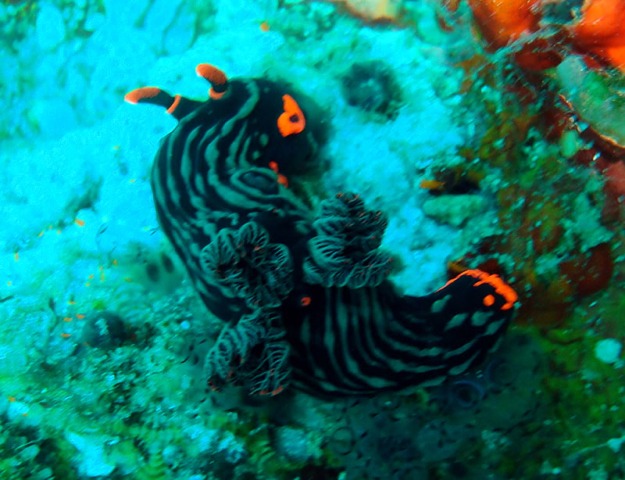 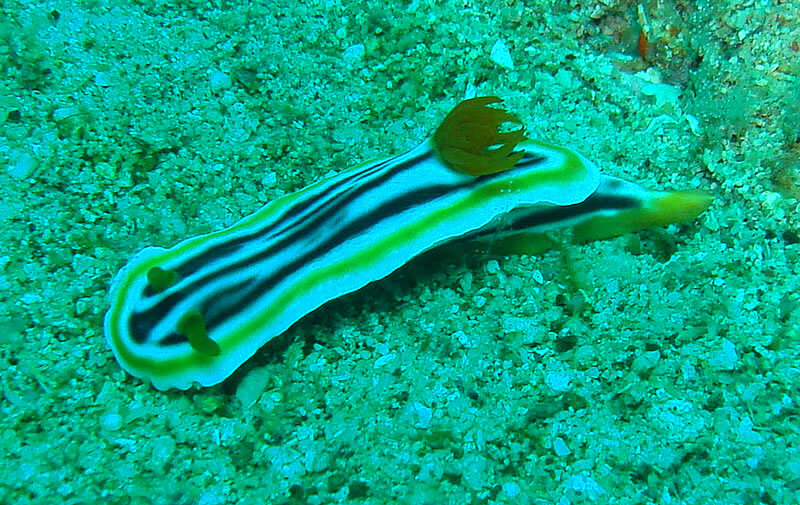 “Sinandigan Wall” is a good dive site for nudibranch fans, with no fewer than 12 different types noted on one dive. 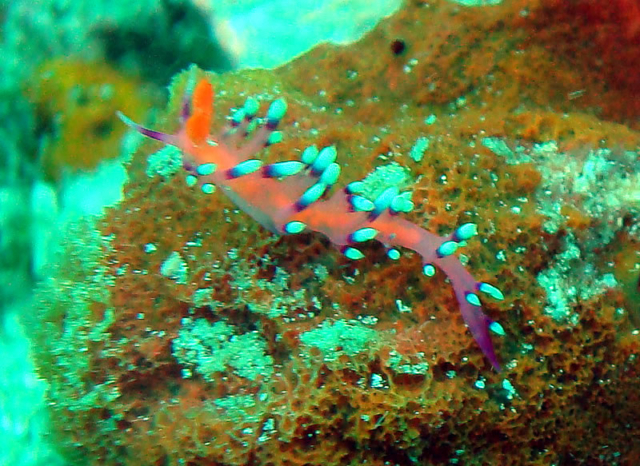 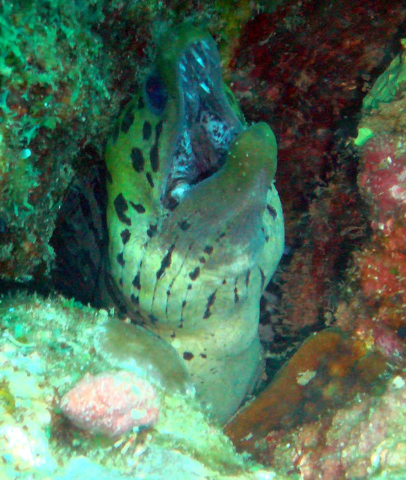 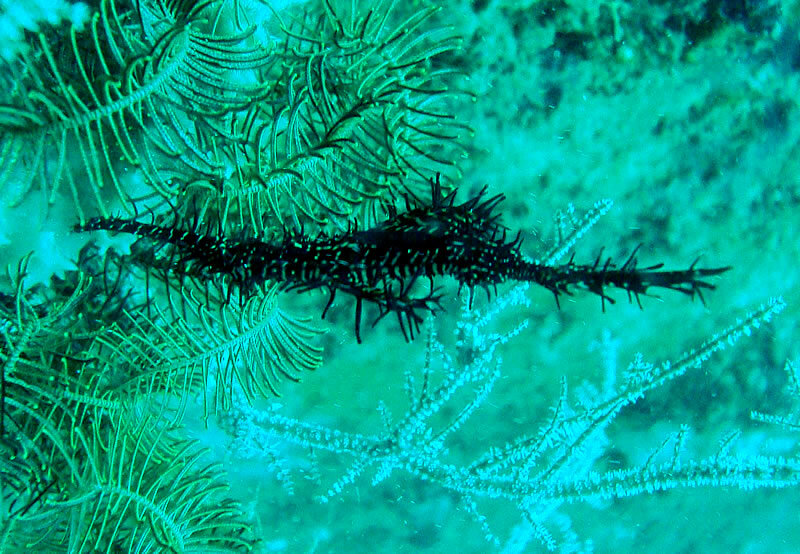 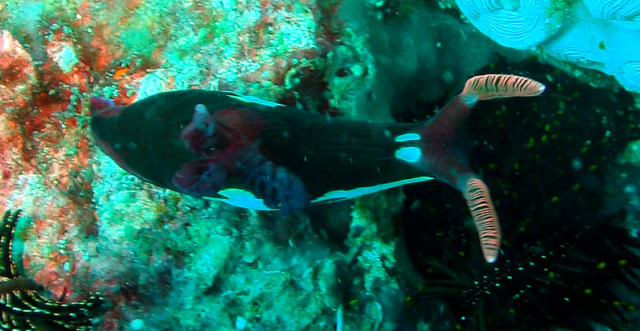 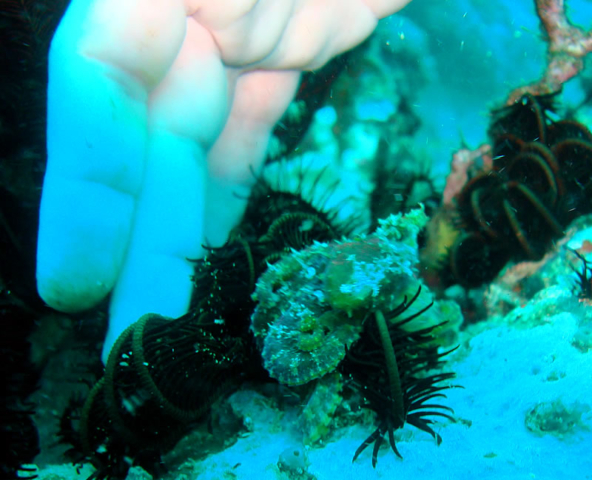 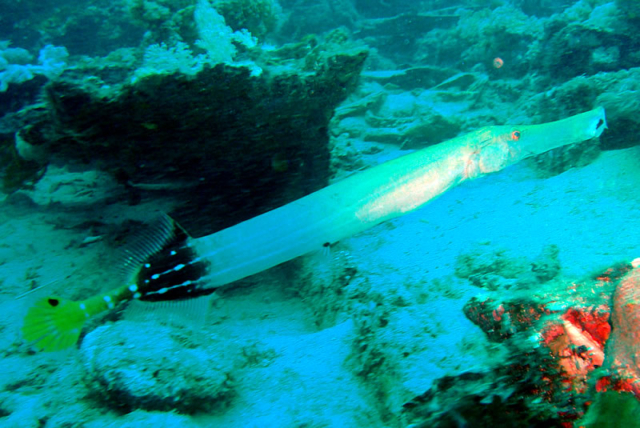 The usual reef critters were also in attendance, with the elusive ghost pipefish, cleaner shrimp, banded sea snakes and juvenile octopus all spotted and entered in the dive log. 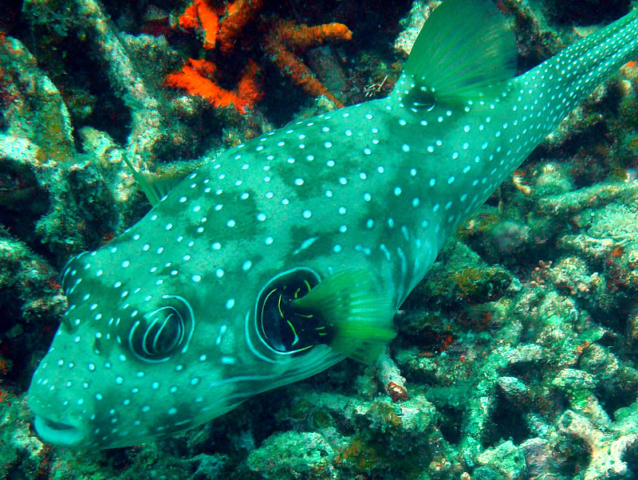 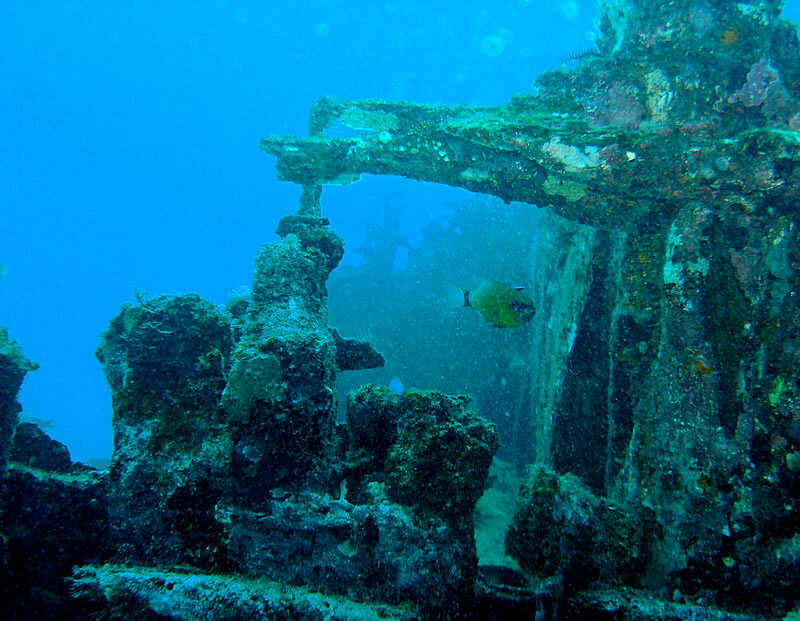 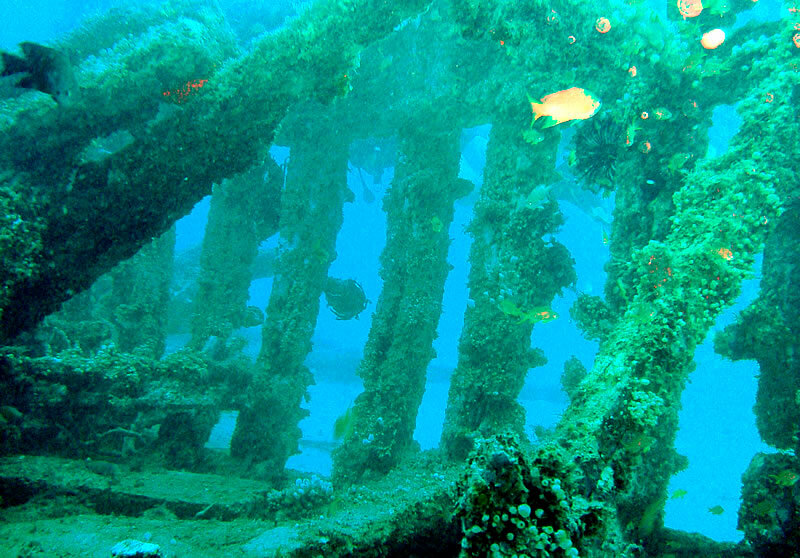 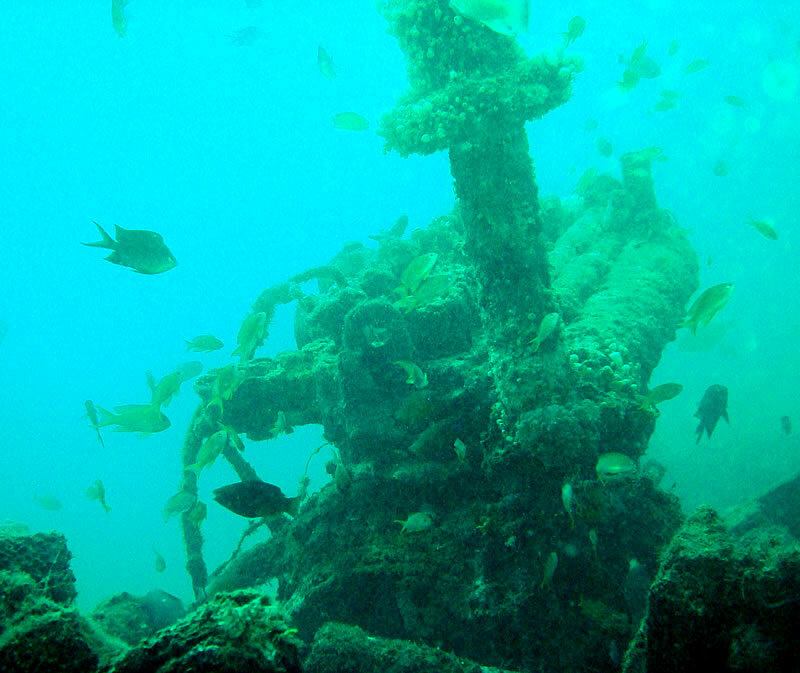 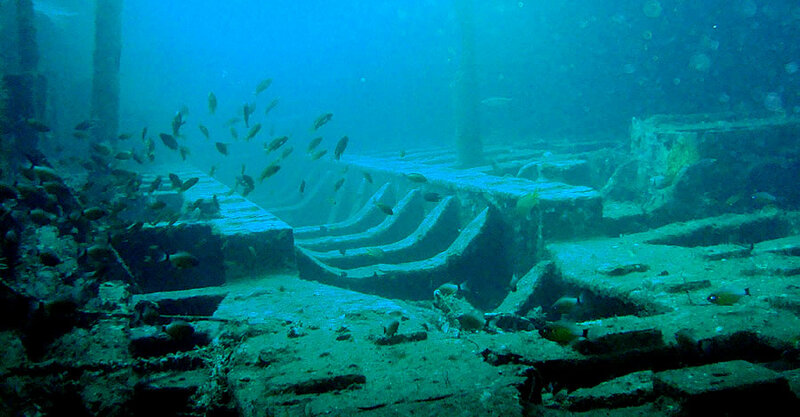 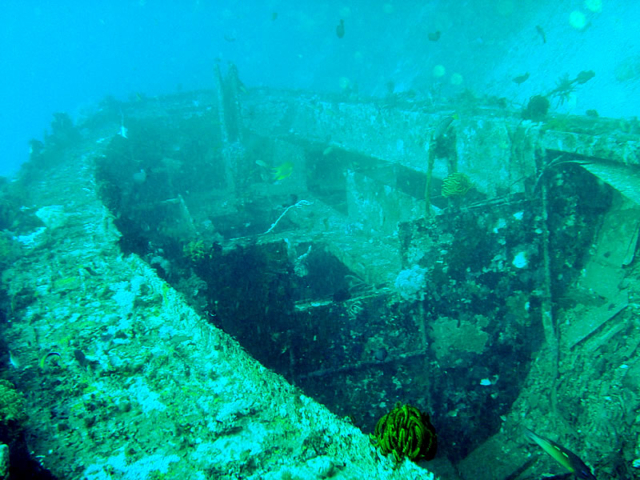 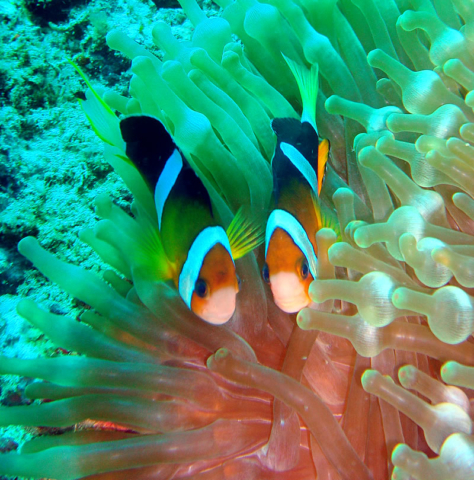 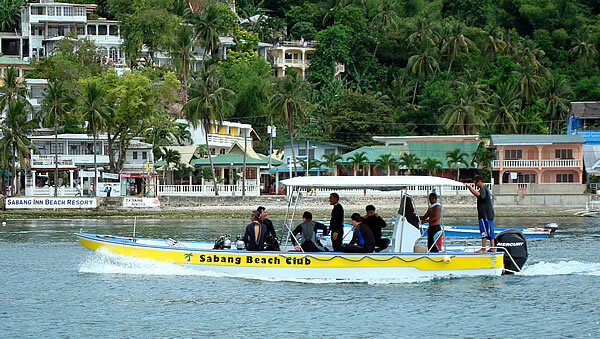 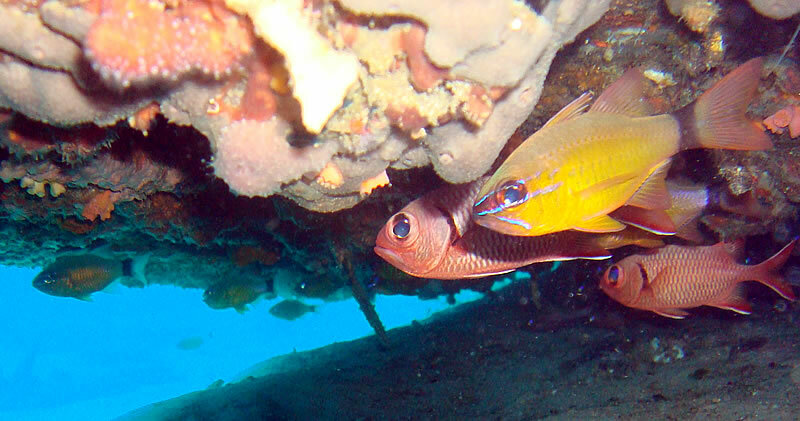 Sabang provides a great base to explore the surrounding reef and wrecks. 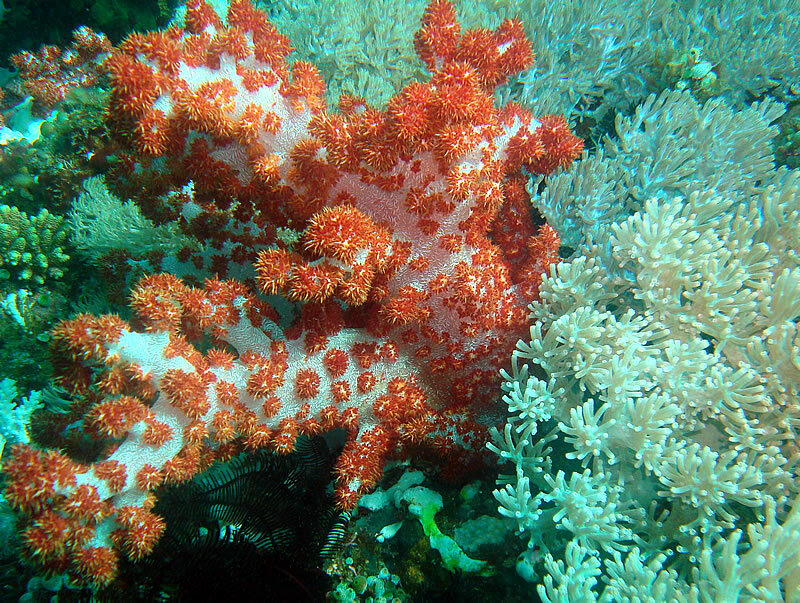 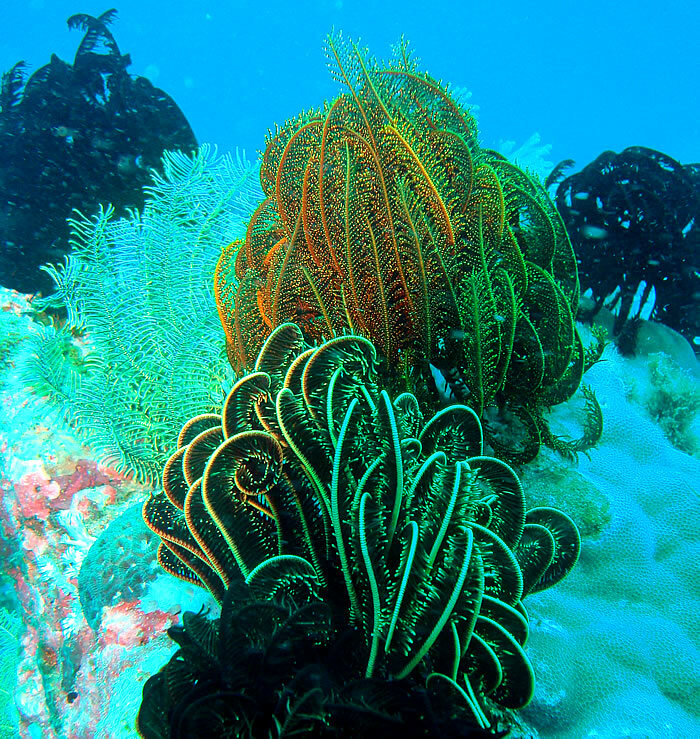 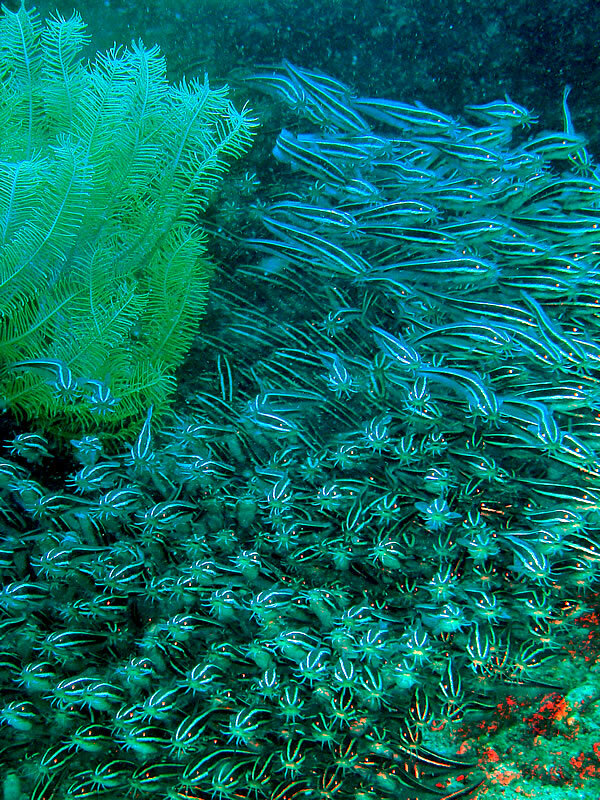 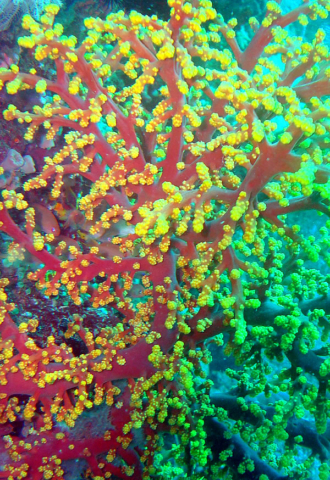 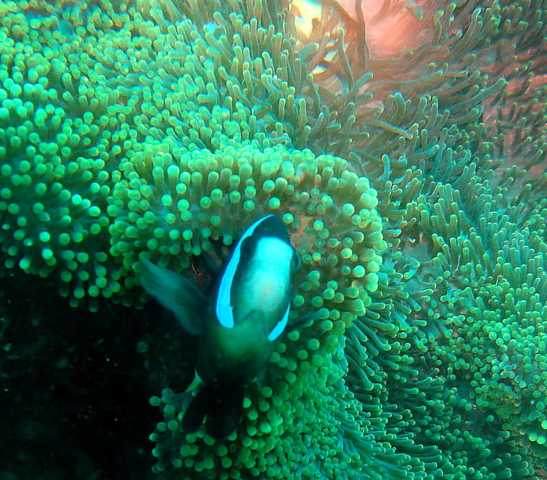 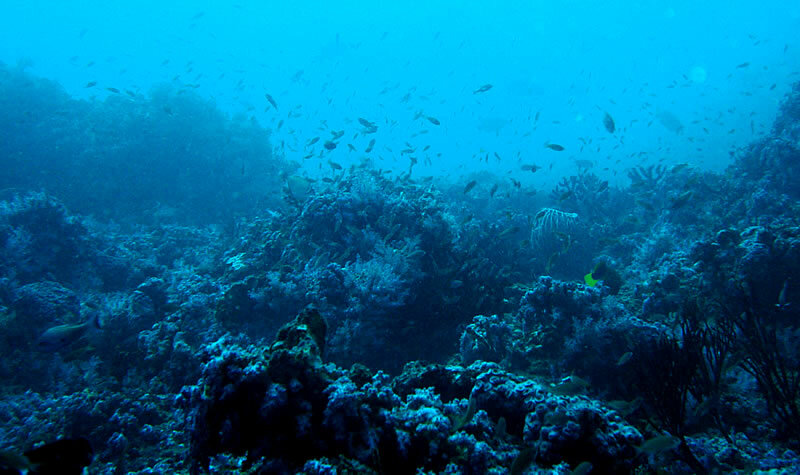 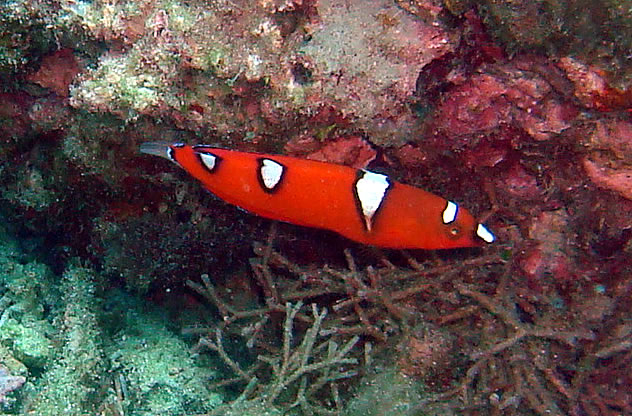 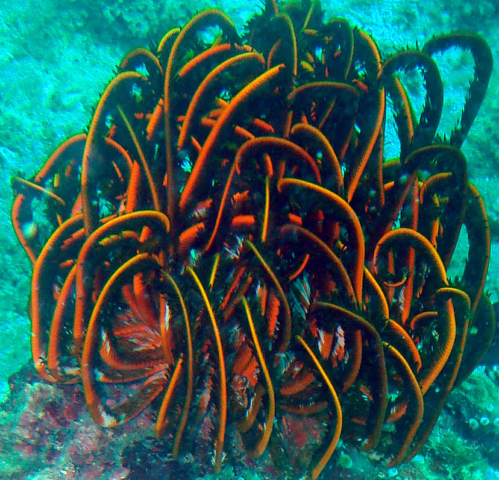 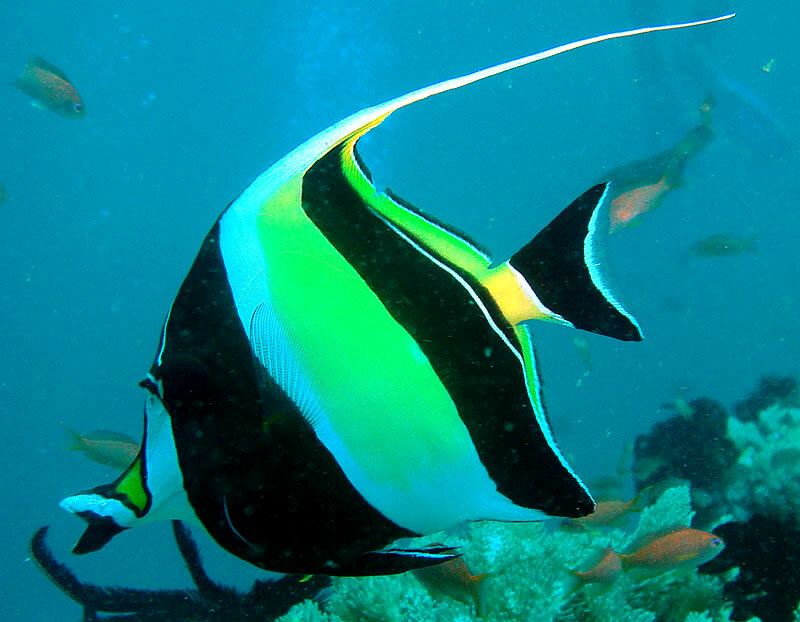 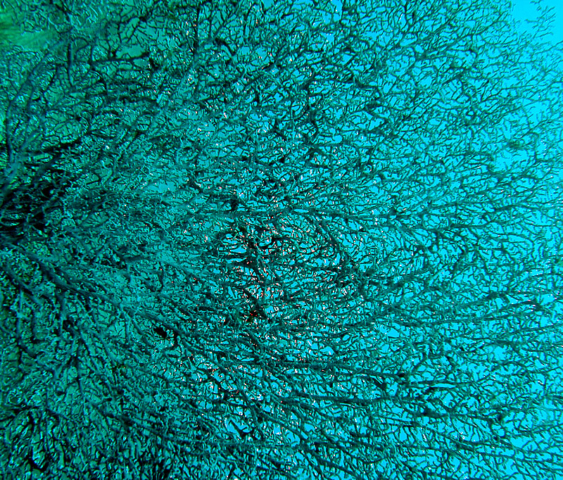 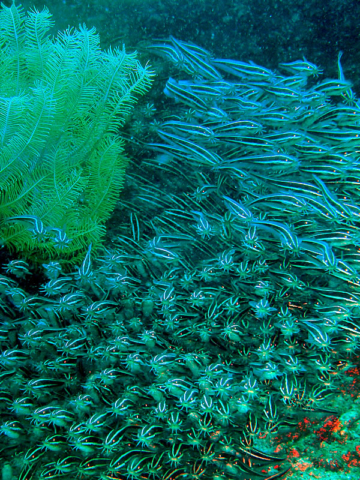 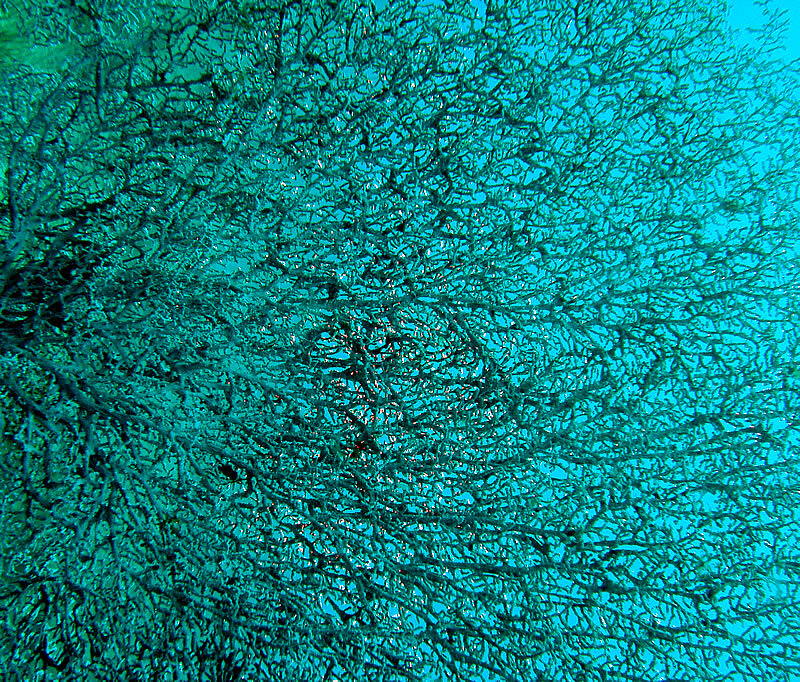 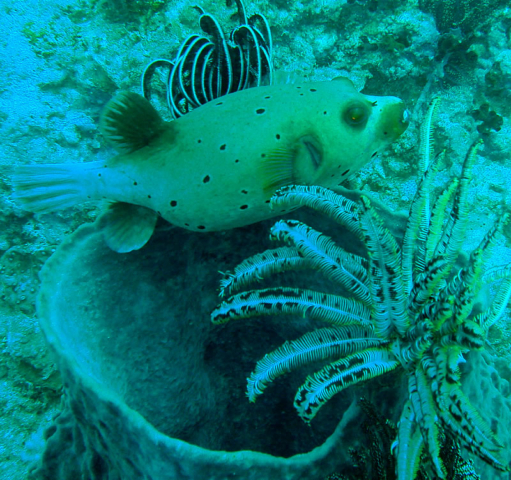 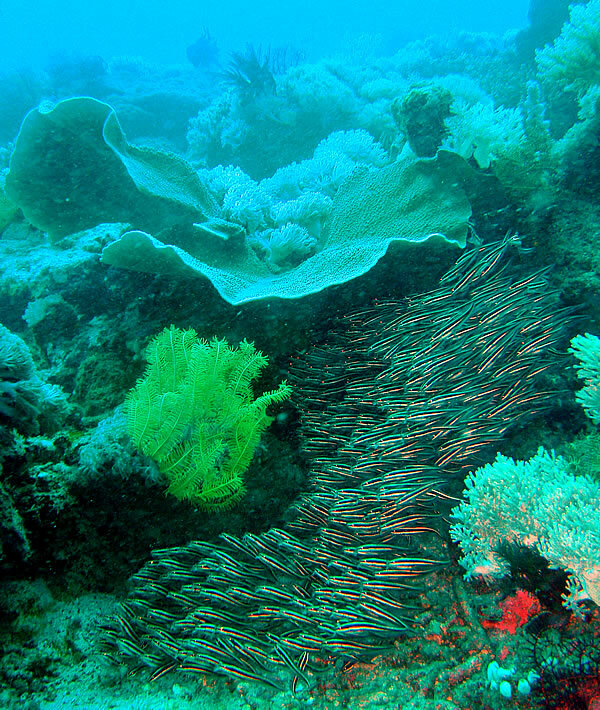 The coral is in good condition and marine life is abundant. 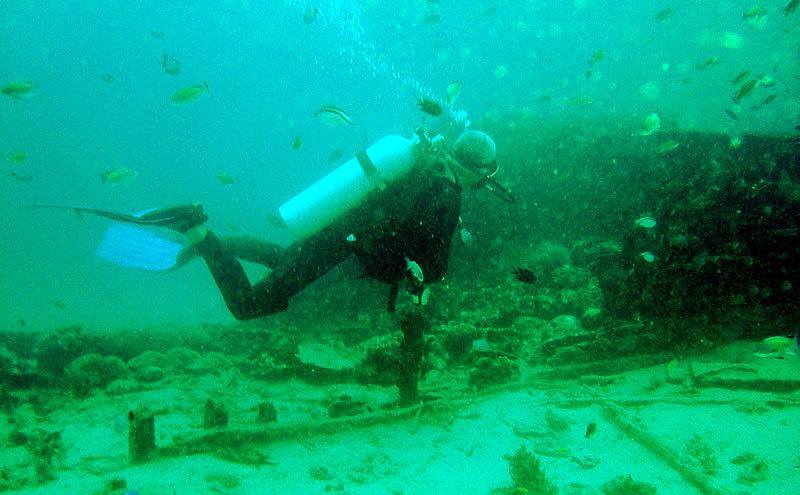 There have been a number of efforts by local dive operators and authorities to preserve the reef, such as a clam garden seeded by a local university and a couple of sunken vessels to promote coral growth. 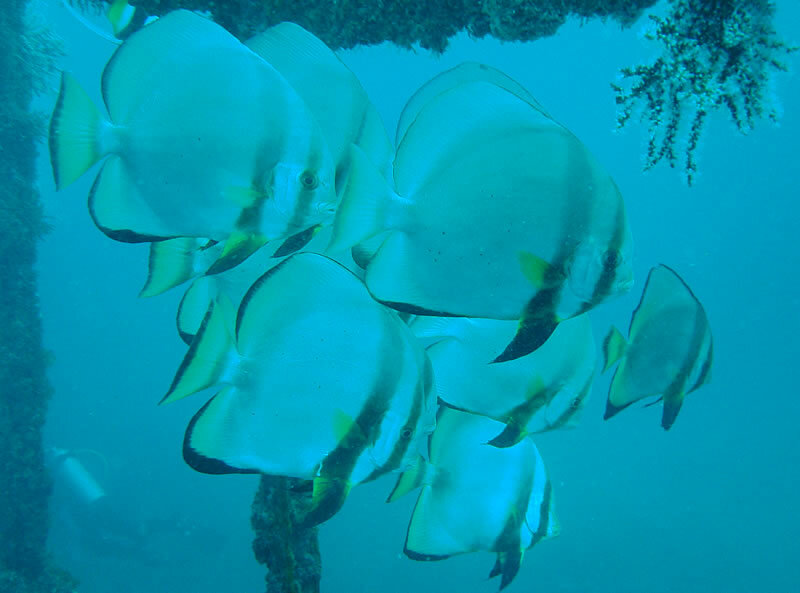 One of the highlights for me was the fact that there are more than 20 different dive sites all within a 10-minute boat ride from the beach, which means you can spend less time travelling and more time diving. 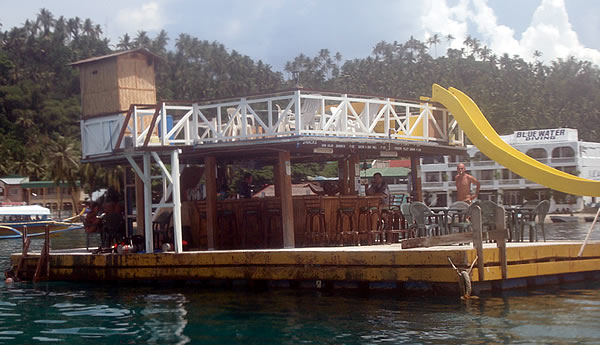 Sabang Beach is also a great place to hang out, with its novel floating bars, where I spent much of my after-dive time, a number of discos, and a few hostess bars for those looking for a bit of action above the surface.